Looks gorgeous. Chocolate and lime is a combo I’ve only had once but it was delicious so I’ll have to try using it more often. 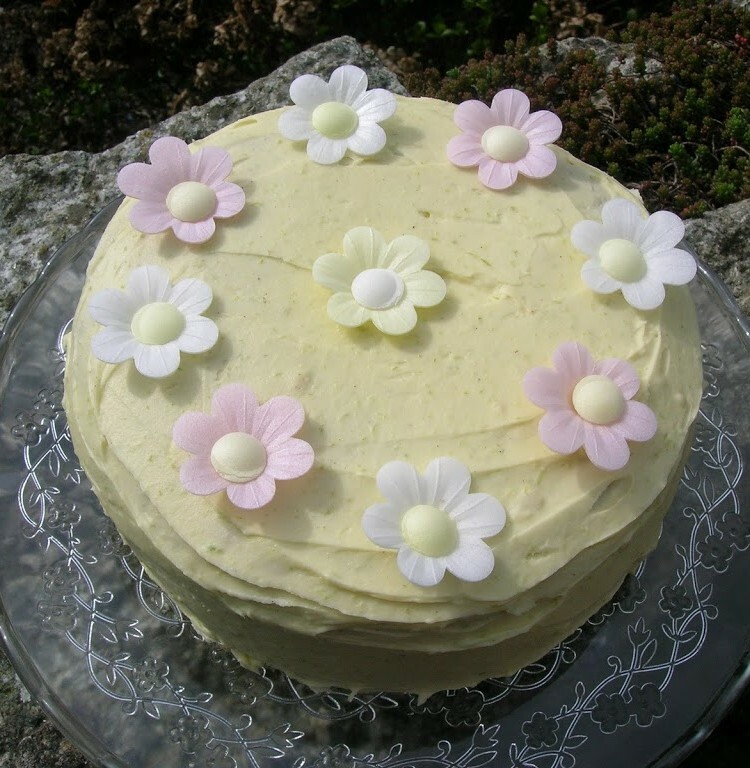 Lime and chocolate isn’t a combination I’ve had before…and seeing your lovely cake I’m wondering why! Haven’t made anything with chocolate and lime. This may be the one. I’ve use lemon before, but the white chocolate ganache with lime sounds intriguing. There’s a boiled sweet (sort of) called a chocolate lime isn’t there? I just want your cake Choclette and I want it now. There’s no cake in the house, no cake…. it’s very very sad here…. excuse me while I chew the screen. Katie – thank you. I think lime combines better with chocolate than lemon so a good one if you want a chocolatey zing. CC – you must indeed try it, it’s lovely. Dom – thank you, glad to know I’m in good company. Dying for Chocolate – lime and chocolate is a much better combination than lemon I reckon – give it a try and let me know what you think. Chele – these cookbooks are just too seductive. CupCakeGirl – thank you. I’m sure you don’t really need an excuse, but I liked the book. This is so pretty, it reminds me of the white chocolate towers on choccywoccydoodah (i love that programme!) Gorgeous! Oh my, this sounds delicious and I love those flowers decorating the top. Lovely, lovely. Looks absolutely divine – love the flowers. I have the same problem with cookbooks. My lime and chocolate creation is in the oven so hopefully it turns out well. I love the sounds of that syrup. Lime, muscavado and rum (even though you didn’t use it.) Cocktail flavours in a cake! I love lime with chocolate, but am always stumped for ideas! This sounds delicious. oh wat a pretty cake it is! haven’t baked any with white choc! this is IN…Love! Kath – I don’t do girly very often, but it’s quite fun sometimes. KitchenMaid – I didn’t really have enough mint to make much of a difference but it’s a great syrup to use and next time hopefully I’ll have plenty of mint. Do try and watch LP if you can. CityHippy – thank you. I’ll be using that syrup again. In fact would be lovely splashed into a glass of water or fizzy water even. Sharky – thanks for your comment, it’s reminded me about the syrup. I’ve got loads of limes at the moment, so must try making some more. Like the edible wafer daisies. This is so pretty! What a wonderful Spring Time dessert!